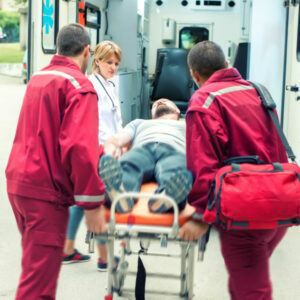 The LSTI EMT-Paramedic Program is accredited by the Commission on Accreditation of Allied Health Education Programs (www.caahep.org) upon the recommendation of the Committee on Accreditation of Educational Programs for the EMS Professions (CoAEMSP). The purpose of this course is to train Specialist level and Basic level Emergency Medical Technicians to provide a full scope of advanced life support procedures to ill and injured patients. This course is designed to help the participant develop an understanding of human anatomy and physiology, disease pathology, advanced airway management, pharmacology, IV therapy, cardiology and trauma care. The LSTI Paramedic program is geared to prepare you for the National Registry of Emergency Medical Technicians (NREMT) certification exam, State of Michigan licensure and to become an EMS professional. Students who successfully complete this course meet MDHHS requirements for a Paramedic license. This course is designed for individuals looking to enhance their career in EMS as well as healthcare professionals looking to enhance their employment opportunities. Successful completion of this course will offer participants job opportunities in Hospital Emergency Departments, Mobile Intensive Care Units, Cardiac Cath Labs, Urgent Care Clinics, Municipal and Private EMS Agencies and other healthcare environments. Please note that tuition covers the cost of all academic student expenses including enrollment fee, E-books, lab fees, uniform fees, ACLS & PALS Certification, NREMT CBT Exam voucher (x1) as well as state-of-the-art computer adaptive testing platforms through Platinum Education, Inc. which will prepare all students to take the computer-based NREMT exam. We have NO HIDDEN FEES!.